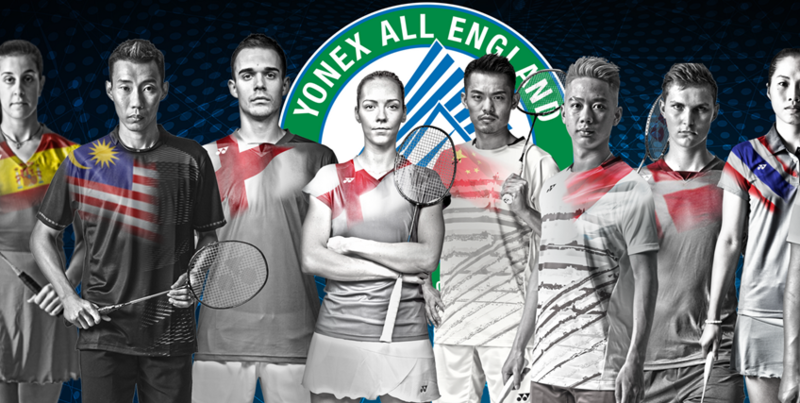 World-class badminton will be on display at the Arena Birmingham over the course of the next few days at the Yonex 2019 All England Open Badminton Championships. The event, which runs from the 6th until the 10th of March, is one of the highlights of the international badminton calendar. So, what exactly is it and which players will be attempting to win one of the five badminton trophies on offer? Proudly described on this year’s invitation as “Badminton’s Greatest Show”, the All England Open Championships have a long and impressive history. The first edition of the competition took place in 1899 in the drill halls at the headquarters of the London Scottish regiment in London’s Buckingham Gate. The inaugural championships included men’s doubles, women’s doubles and mixed doubles events, with men’s and women’s singles competitions being introduced the following year. The tournament has grown in size and importance since then, and it became part of the Badminton World Federation’s (BWF) Super Series in 2007. In 2011, it was upgraded to a Super Series Premier event and, in 2018, became one of the newly-created BWF World Tour’s three Super 1000 tournaments. The All England Open Championships have been held at eight different venues over the years, seven of which were in London. However, in 1994, they moved to the Arena Birmingham and they have been taken place there annually ever since. Not only is the venue set to be packed for the duration of the 2019 event, the action will also be beamed to audiences around the world. A whopping 168 million households will be tuning in, with UK fans being able to keep up with developments thanks to the BBC. Who’s in the Running for the Trophies at the 2019 Competition? The reigning men’s singles champion, Shi Yuqi, will be attempting to defend his title at the Arena Birmingham. The Chinese player beat his fellow countryman and six-time men’s singles winner Lin Dan in the final in 2018. He’ll be facing some tough competition, however, with the other contenders including the likes of the 2016 Olympic champion, Chen Long, who was victorious at the All England Open in 2013 and 2015, and Srikanth Kidambi, who won the silver in the men’s singles and a gold as part of India’s mixed team at the 2018 Commonwealth Games. Tai Tzu Ying from China will be trying to clinch the women’s singles trophy for the third time in as many years, while players like Ratchanok Intanon, who made it into the final in 2017, and Carolina Marin, the reigning Olympic and BWF World Champion, try to derail her plans. The 2018 men’s doubles champions, Marcus Fernaldi Gideon and Kevin Sanjaya Sukamuljo from Indonesia, and the runners-up, Mathias Boe and Carsten Mognesen from Denmark will be in action in the event again this year, while the women’s doubles contenders include Christinna Pedersen and Kamilla Rytter Juhl, the current trophy holders, and Misaki Matsutomo and Ayaka Takahashi, the 2016 Olympic champions. British fans can cheer Chris and Gabby Adcock on in the mixed doubles. The competitor list for that event also features the current Olympic champions, Tontowi Ahmad and Liliyana Natsir, as well as Zheng Siwei and Chen Qingchen, who have been victorious in five previous Super Series tournaments. Are you a badminton fan? Which players do you think will triumph at the 2019 All England Open Badminton Championships? Share your opinions with us on social media or below.